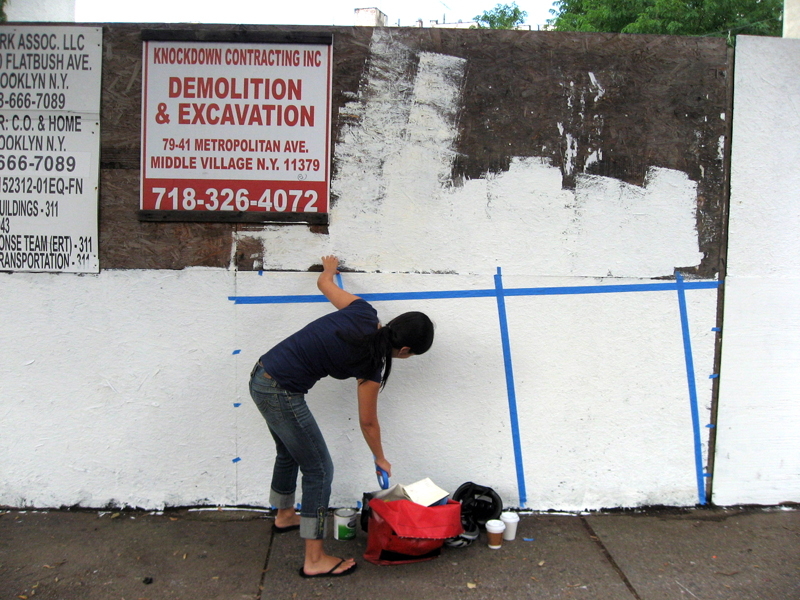 Recognizing that these sad surfaces can easily be improved, PLG Arts began a local initiative to transform the fence around a stalled construction site in Prospect-Lefferts Gardens, Brooklyn NY. Originally on a trajectory to become a 20-story glass tower, the site had been inactive for about a year (after the existing building had been demolished). 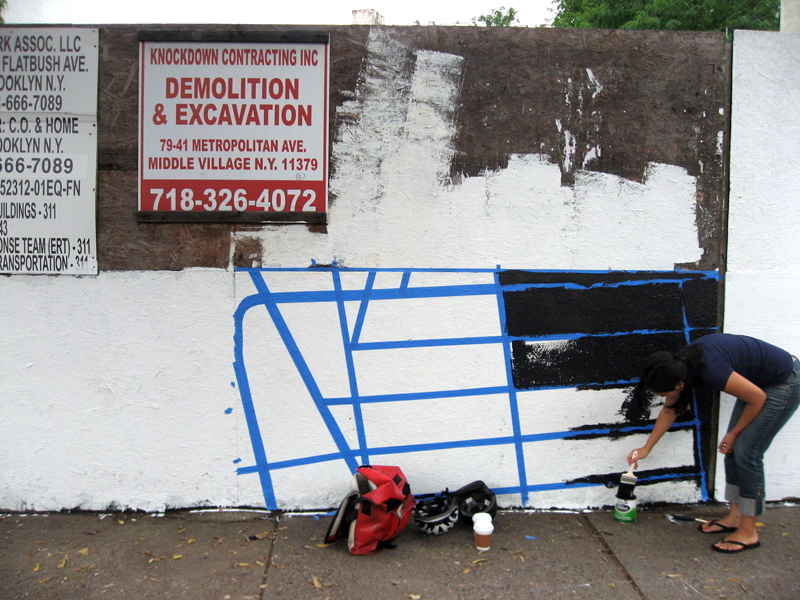 25 artists from the local community, as well as students of Maple Street School, were recruited to repaint the site in September 2009. 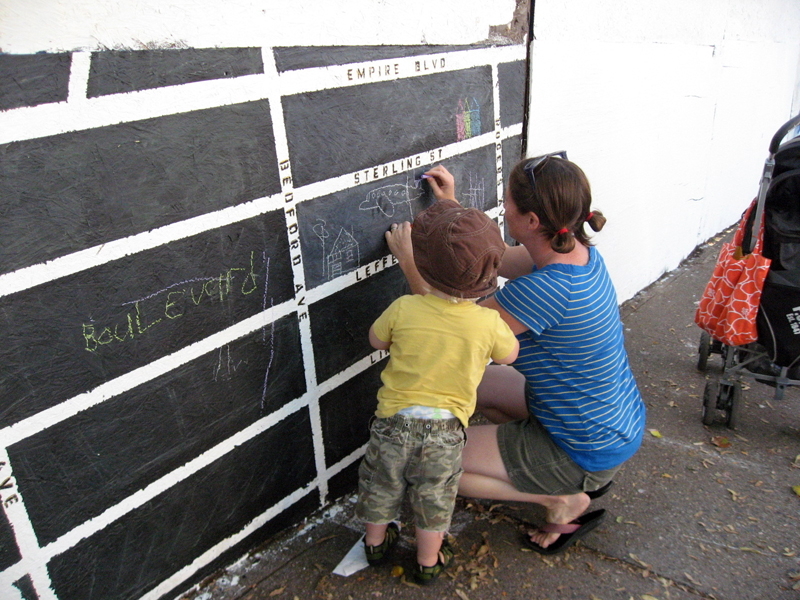 For my piece of the construction fence, I aimed to create an interactive tool for fostering conversation about the local built environment. 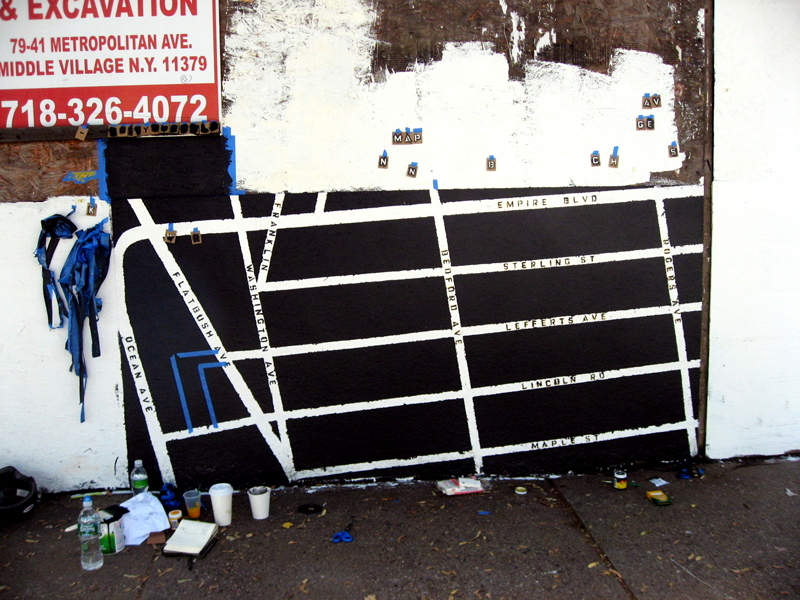 I painted a blank "template" map of the neighborhood immediately surrounding the stopped site, filling in only street names and the subway line. 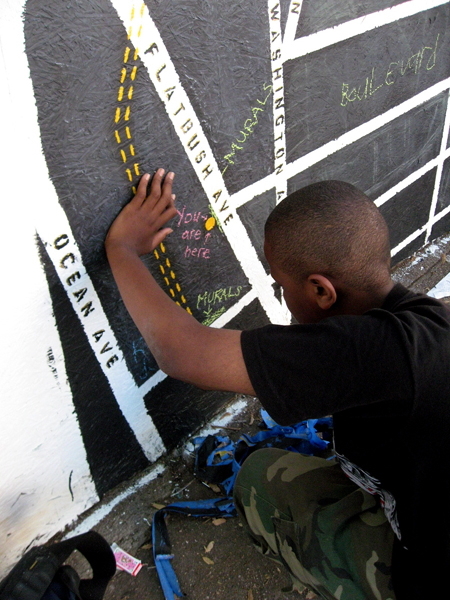 The entire map is painted with chalkboard paint, so as to create an infinitely writeable and erasable surface. 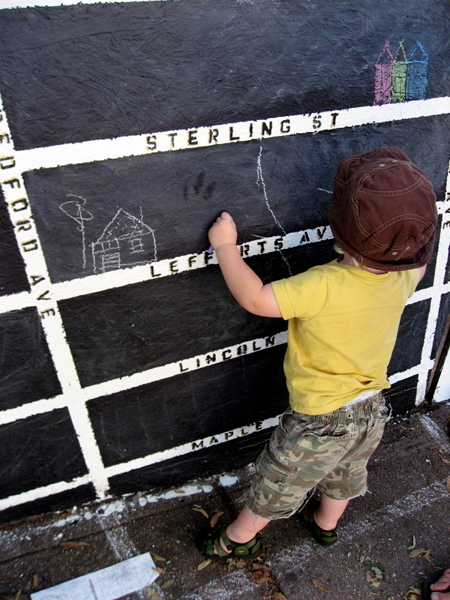 Colored chalk is fastened to the wall, and the playful look of the chalkboard encourages passerby to stop and draw something on the map. 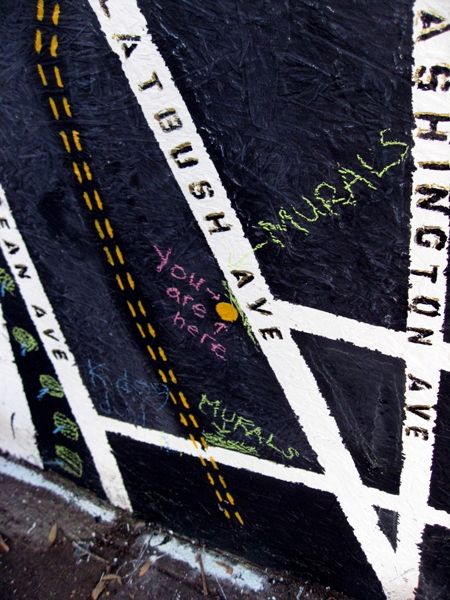 The title panel - with the specific map name left blank - allows each map to be specifically curated by an individual instigator. 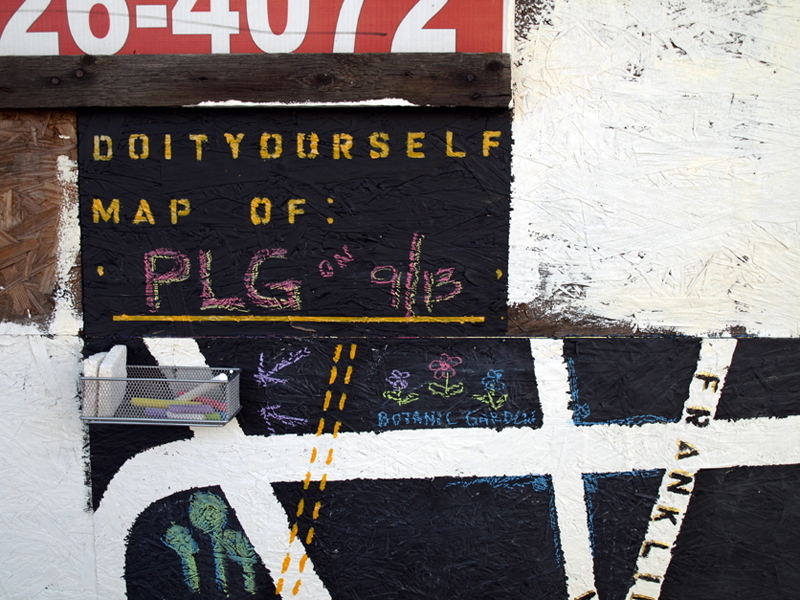 For example, the first map, titled "Do-It-Yourself Map of PLG on 9/13" became filled with homes belonging to the people who walked by as the map was being created. 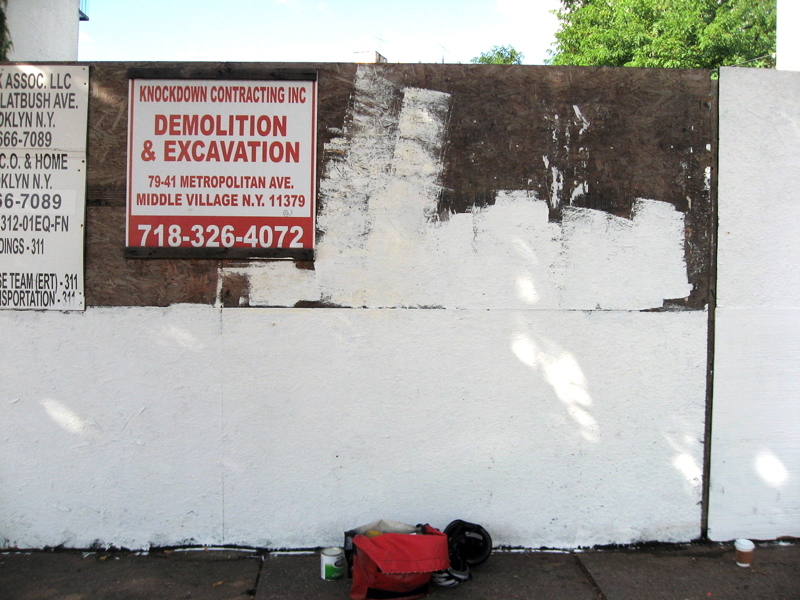 Other possible maps like "Do-It-Yourself Map of Stopped Sites" or "Do-It-Yourself Map of Street Trees That Need Help" could be a low-tech way of crowd-sourcing to build up awareness and discussion of local conditions. 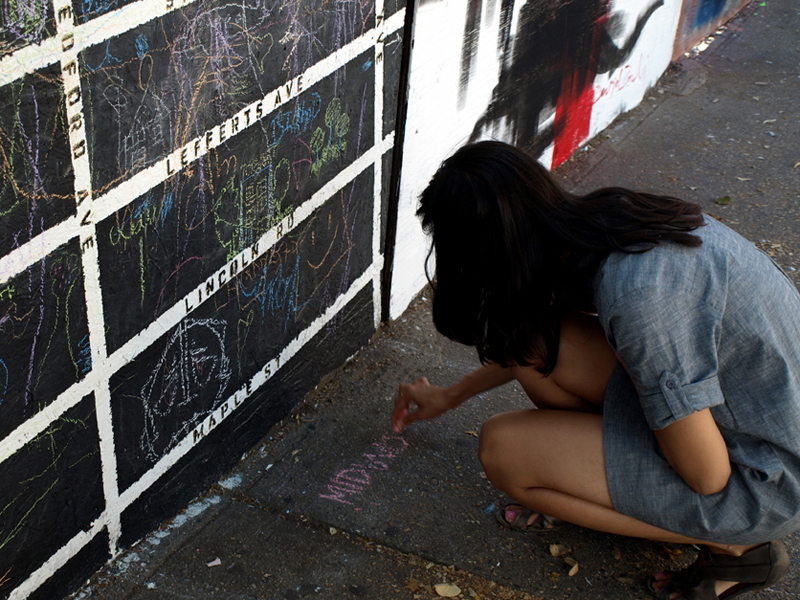 The best part is - with each rain - the current map washes away, leaving the slate black for a brand new "Do-It-Yourself Map of _____." Please come fill in the blank yourself! 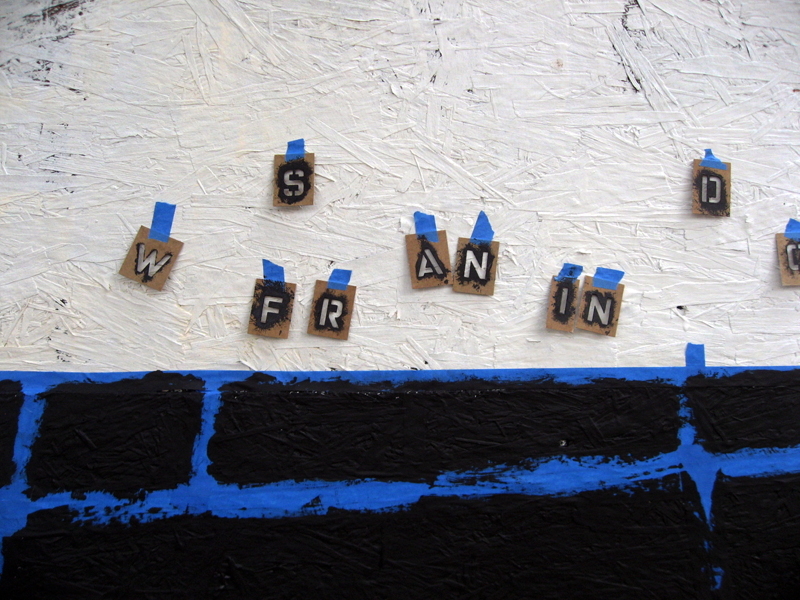 Realized with help from Frank Hebbert. 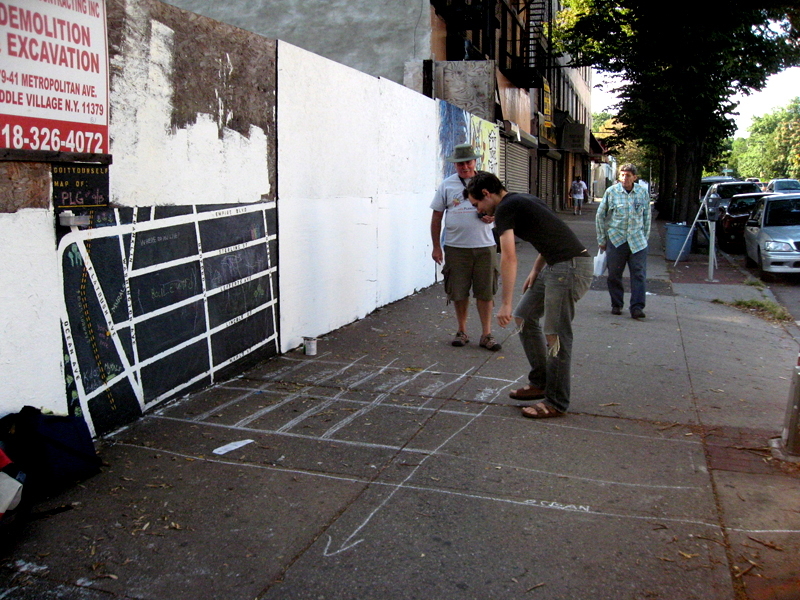 For alternative strategies proposed for stopped sites, see the Open Agency Project.